I've been meaning to post this somewhere for ages. I came across these very appetising bottles in a French supermarket. 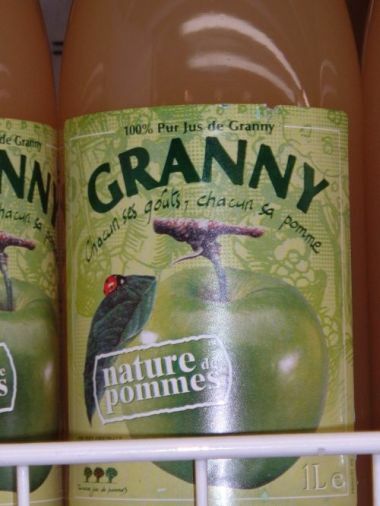 Mmmmm... 100% Pur Jus de Granny. Perhaps I should photoshop an old lady over the apple. This is a inquiry for the webmaster/admin here at blog.fluffypanda.com.